April 3, 2014 March 27, 2014 / Susan O.
You’ve seen them around, maybe even in your yard. You may even think they look pretty. But they’re not. They are aliens, and they are taking over our world. The “aliens” in this case are non-native plants, and their invasion is costing us billions – yes, billions with a B – just on golf courses alone, trying to stop them from overtaking and wiping out our natural species. They can choke out the normal wild plants of an area, wiping out the food that birds and wildlife depend on. They can wrap around your electrical wires, pulling them down and causing power outages. They can invade your vegetable gardens, growing faster than you can weed. Most of these plants were introduced as an ornamental addition to gardens, but with no natural insect enemies or animals to eat them, they quickly grew! 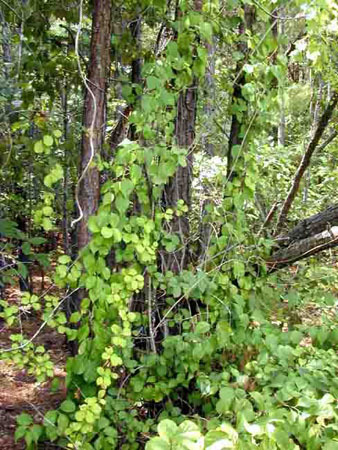 From Alabama to Canada, Japanese Kudzu is a fast-growing vine that forms a thick blanket over grass, trees, wires, and buildings. It will grow over anything in its path, and it is voracious – growing up to a foot per day – the kind of thing bad science fiction movies are made of. In Cheshire, especially on the West side near Darcey School, you’ve no doubt seen Oriental Bittersweet growing thick up telephone poles, hanging in sheets from overhead wires, and growing up trees in thick ropes faster than poison ivy. It’s a woody vine that’s almost impossible to break with your hands, and will wrap itself around wire fences until it’s easier to remove the fence than the vine. Even pulling it up doesn’t seem to stall it much. 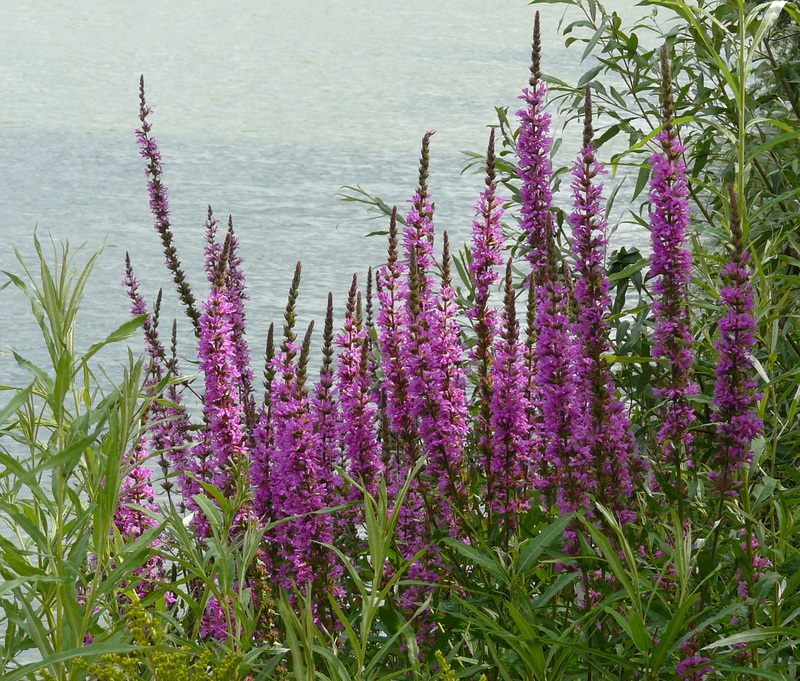 Purple Loosestrife may trick you into thinking it’s just a pretty flower ( I once thought so), and you’re rather happy it chose your yard. You don’t even have to water it, and it looks nice. Until it takes over every inch of your lawn, and the more you weed, the more there seems to be. It was brought over from Japan in 1876 as a garden interest, and then spread out of control. Garlic Mustard sounds tasty – and it is. It was brought over from Europe as a an herb in the 1860’s, and it quickly took off. Garlic mustard is so determined, it can even fertilize its own seeds, which is part of the problem. Deer won’t eat it, and thus will feast too much on other plants instead, endangering them from overgrazing. 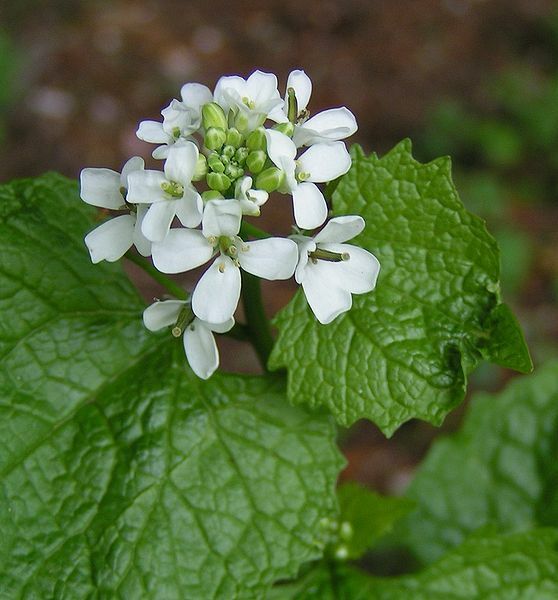 Garlic mustard is on the Most Wanted list in more than nine states. 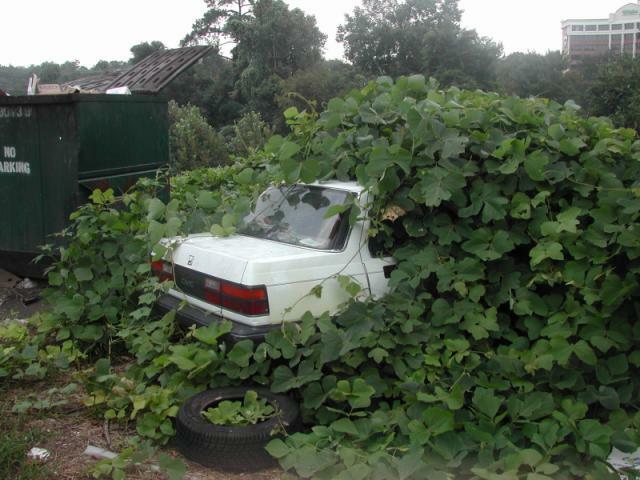 Different plants can require different methods of eradication. On April 7, Cheshire Public Library will be hosting a program called Root Out Non-Native Invasive Plants, where you can learn more about how to identify and eradicate non-native infiltrators without the widespread application of pesticides.. Help support your native plants – and the animals who depend on them – by helping to wipe out these alien invaders. If you don’t already have one in your neighborhood or yard, you will soon. You can read up further on invasive plants in Invasive Plants: a guide to identification and the impacts and control of common North American species, by Sylvan Ramsey Kaufman.